Okay, firstly, I’d like to point out the reasons why this film was a success for me. 1) I really had low expectations especially after the first one. 2) I’ve recently re-watched all the Marvel films, including The Avengers. 3) I was feeling a bit emotional at the theatre and this movie fed my appetite. Let’s just keep an open mind here. Loki grieves for his mother. In the first part of Thor, I was disappointed by her performance because I felt she could’ve done better. 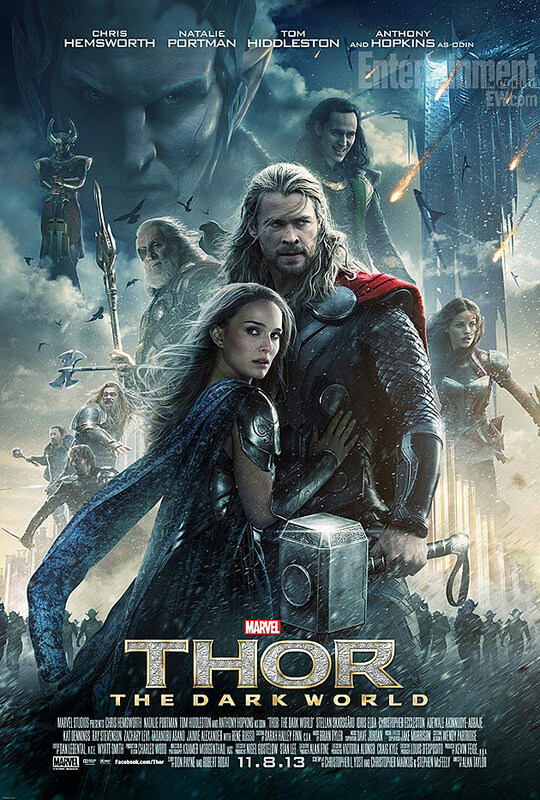 In part II, not so much of a damsel in distress and a little bit of character development as an astrophysicist but I still don’t see the chemistry between her and Thor. Kiss also no feel. I get that a lot of people don’t like that this was more of a comedy than action, some misplaced in certain parts unnecessarily, like the scene they escape Asgard to confront the Black Elves. Loki makes a lot of comments in the runaway ship. But coupled with the fact he’s mischievous and that Thor inevitably throws him out the window in annoyance maybe sweetens the pill. Why not 5? Not really feeling the Thor-Jane ship. And was kinda zoning out during certain parts of the movie. Storyline didn’t really captivate me. Actually, I was a little more than confused. Overall, it’s a feel good movie to add to the Marvel Studio list. Nothing to shout about. Although I found myself starting to really like Mjölnir. 3 claps for Tom Hiddlestons claptastic performance as usual. Oh, and my personal favourite part was the cameo by Captain America, Nice one, Stan Lee. You must be truly desperate, to come to me for help. Thinking of: Monsters under my bed mating with the voices in my head.